For months our union—including tens of thousands of our members—has fought the government’s unnecessary and restrictive Trade Union Bill. Despite several significant u-turns, and the watering down of aspects of the legislation, that is still the case. This is a piece of legislation that should never have existed, an attack on the labour movement driven by politics and ideology rather than common sense. Even amended, it still places unnecessary burdens on working people and their unions. Yet as we condemn the Bill we shouldn’t overlook what our campaigning has achieved. Without these changes, unions representing working people across the UK would have found it hard (if not impossible) to continue doing what they do best — speaking up for those being treated badly at work and campaigning for a fairer society. Ministers have sensibly listened to many of the arguments put to them. Measures that would have stopped unions from collecting members’ subs from their pay packets were dropped thanks to lobbying from UNISON. After dozens of meetings with MPs, peers, ministers and even bishops, I saw up close the realisation that, with those driving the attacks on our movement, they were making a terrible mistake. Likewise, the ability of unions to lobby successfully could be seen in the significant dilution of attacks on facility time. The government listened to our arguments about the huge value that union reps can bring, not just to public sector employees, but to their employers as well. Workplaces where there is a union aren’t just safer, more pleasant places to work, they also tend to have better trained, more informed staff, and that has a huge impact on the quality of service provided to the public. And on political funding—one of the most recent developments in the saga that this bill has become—the changes secured mean that unions can continue to campaign on behalf of the issues that matter to our members, like fighting low pay, supporting anti-racist campaigns and winning the fight for Britain to remain in a reformed EU. 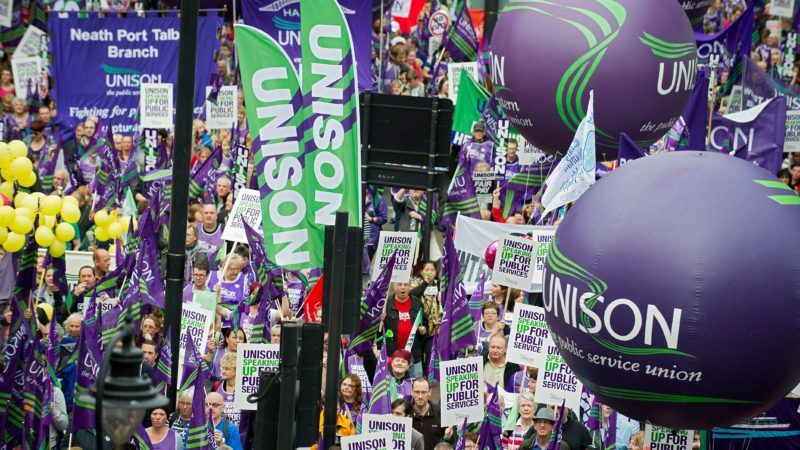 Restricting unions’ ability to raise funds for this kind of campaigning would have hampered efforts to make the UK a safer, better and fairer place to work—and a better country to live in. At least after the hard-won changes to the Trade Union Bill, we can continue to fight and win for our members in the years ahead. We will continue to oppose the new restrictions that this government has imposed on us—adding to Britain’s already onerous anti-union laws at a time when unions have never been needed more—and hope one day to see them repealed. But after months in which our movement has faced a number of existential threats, we have every right to be relieved with and thankful for the progress we’ve made. This is a bad bill but without the labour movement pushing back with passion and vigour, it could have been much worse.